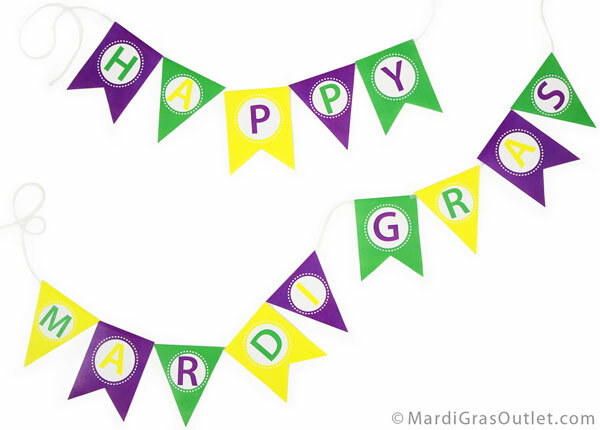 Happy Mardi Gras! 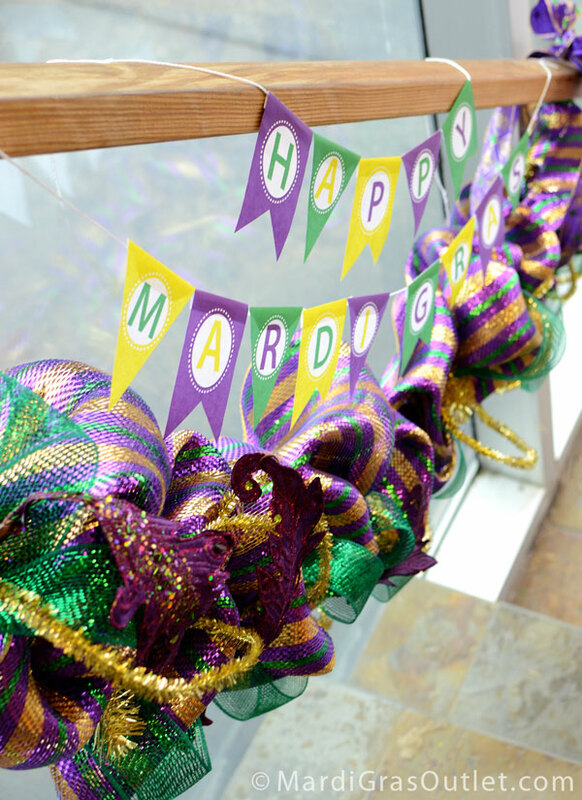 Today around the world, people are celebrating- one last day of revelry before lent begins. 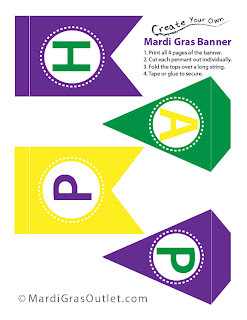 This printable Mardi Gras pennant banners is an inexpensive way to decorate for your celebration. With this free printable, you can make as many as you want! Print out all 4 pages of the banners, using your desktop home printer or bring the file to a copy or print center. 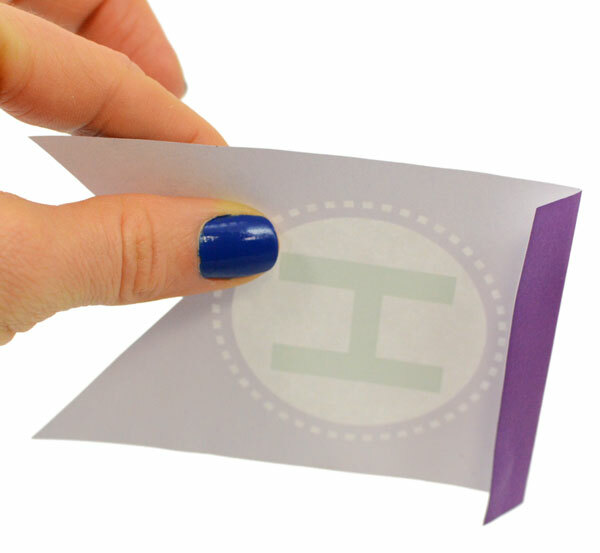 You can print them using regular copy paper or card-stock paper. 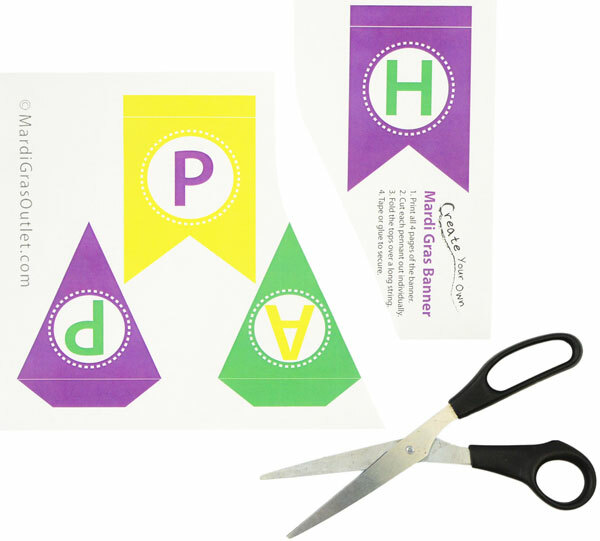 Once you have printed out all four pages, use scissors or an X-acto knife and ruler to cut out each individual flag. With each flag cut out from the pages, start folding the top section. Fold it back behind the front of the flag across the top at the white line, as shown above. 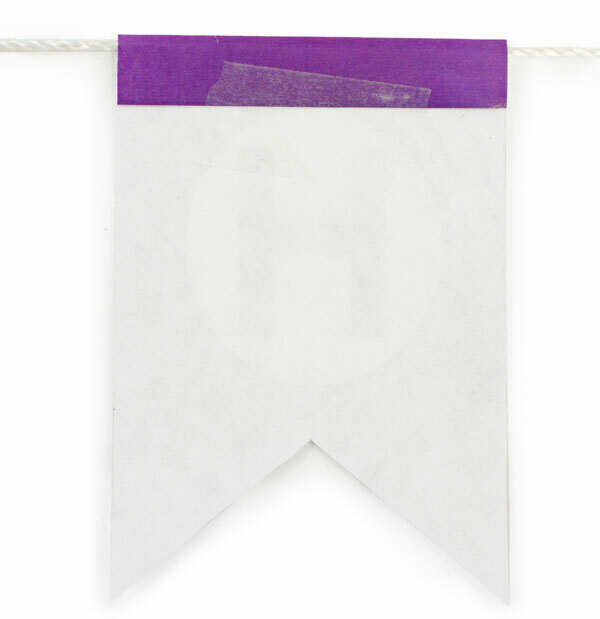 Use the sides of the pennant as a guide for straight edges. Place the fold around a long piece of string, and then tape or glue the flap down to secure. Continue attaching all of the flags. We used two different strings, but use one long string if you need to. 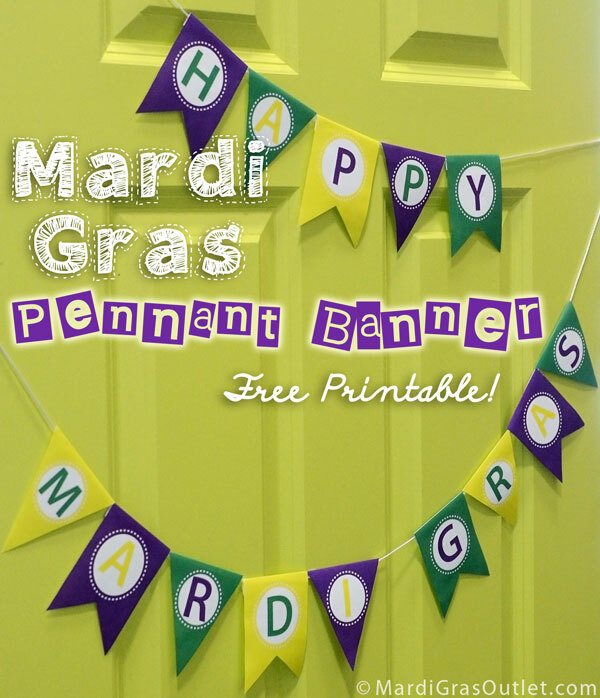 You could also use ribbon or Mardi Gras Beads to create a pennant banner that is more like a garland. Our finished banner took under 10 minutes to cut out and string together. The finished banner-garland across a doorway. We love the pennant banner on a garland or staircase! A step-by-step tutorial on how to make this Deco Mesh garland is available HERE. 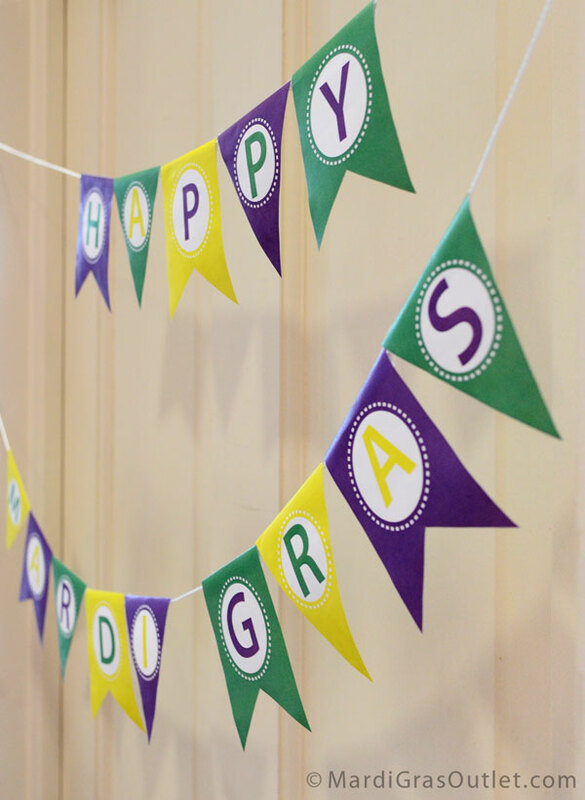 We hope you have a happy Mardi Gras!